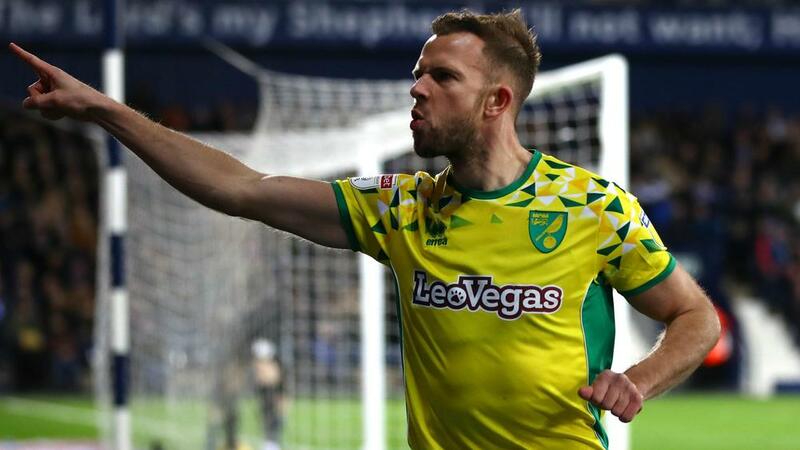 Jordan Rhodes came off the bench to score a late equaliser as Norwich City drew 1-1 at West Brom, while Sheffield United moved into the Championship's top two. Dwight Gayle's first-half goal – his 14th of the season - looked like it would send West Brom above Norwich in the table, but Rhodes equalised seven minutes from time. That meant Sheffield United climbed into second spot behind leaders Leeds United after beating QPR 1-0 at Bramall Lane, their fourth straight league win. Middlesbrough kept up the pressure on the four teams above them with a 2-1 victory at Birmingham City, while bottom-of-the-table Ipswich Town recorded only their third win of the campaign, defeating Rotherham United 1-0. Norwich are now without a win in five matches across all competitions, but Rhodes' intervention – his first goal in two months - along with a key stoppage-time save from Tim Krul to deny Hal Robson-Kanu, keeps the Canaries well in the hunt. Other than Leeds, who now sit four points clear of the rest, Sheffield United were the big beneficiaries of that result as they beat QPR. David McGoldrick's 10th goal of the season, a first-half header, ended a five-match unbeaten run for Steve McClaren's men and saw the hosts respond well to their shock FA Cup defeat to Barnet. Middlesbrough are four points behind them after Britt Assombalonga's 82nd-minute winner saw off a game Birmingham outfit, who thought they had claimed a point when Che Adams cancelled out Lewis Wing's first-half opener. Of the six teams starting Saturday directly outside the play-off places, Bristol City were the only one to win, as Nottingham Forest, Birmingham, QPR, and Aston Villa all lost, while Swansea City drew 1-1 at 10-man Preston North End. As a result, City, who scored twice in three second-half minutes to come from behind and win 2-1 against Bolton Wanderers - debutant Kasey Palmer scoring the winner from close range - move up to seventh, just two points behind Derby County in sixth. Wigan Athletic shocked Villa with a 3-0 home win, their first victory since November, and Reading beat Forest 2-0, the visitors finishing the match with nine men in their first match since Aitor Karanka's departure – Danny Fox and Tendayi Darikwa both seeing red. Hull City continue to be the league's form team after making it six league wins in a row with a 3-0 home thrashing of Sheffield Wednesday. Jarrod Bowen struck twice and substitute Fraizer Campbell wrapped up the points to move his side into the top 10. Nathan Jones' first game as Stoke City boss was a disappointment, as the Potters fell to a 3-1 away loss to Brentford. A comical Ryan Shawcross own goal seven minutes in set the tone, with impressive Brentford goals from Said Benrahma and Rico Henry sealing victory despite Benik Afobe netting for the visitors.